Removes dead skin and softens calluses. 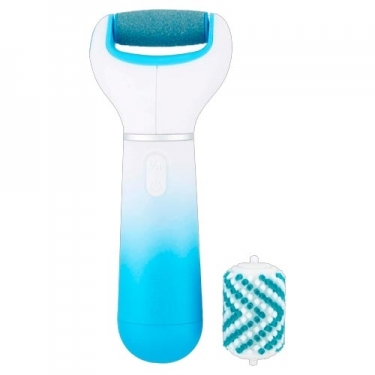 DESCRIPTION: Velvet Smooth Electronic Foot Care System from Dr. Scholl is an electronic file, ideal to help remove calluses from the feet and to exfoliate dry skin. The recharges (sold separately) available in three different intensities: extra thick for a particularly thick and stubborn rigid skin, a regular course for the excess of hard and soft skin to provide a perfect finish. Comes with a safety feature that locks the roller in place if too much pressure is applied, preventing injuries. After filing, apply moisturizing cream to the feet.